Starting up your Mac is usually just a matter of pressing the power button and waiting for the login screen or the desktop to appear. But once in a while, you might want something different to happen when you start your Mac. Perhaps using one of the troubleshooting modes or making use of the Recovery HD. Using startup keyboard shortcuts allows you to change the default behavior of your Mac when starting up. You can enter special modes, such as Safe mode or Single-User mode, both of which are special troubleshooting environments. Or you can use startup shortcuts to select a boot device other than the default startup drive you usually use. Of course, there are many other startup shortcuts, and we've gathered them all here. If you're using a wired keyboard, you should use the keyboard shortcut combinations immediately after pressing the Mac's power switch, or, if you used the Restart command, after the Mac's power light goes out or the display goes black. 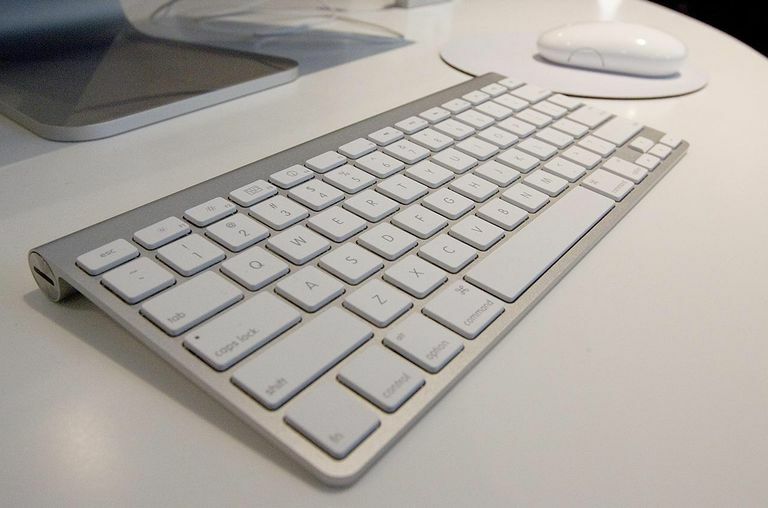 If you're having problems with your Mac and are using the startup keyboard shortcuts to assist in troubleshooting, it's strongly recommended to use a wired keyboard to eliminate any Bluetooth problems that may prevent the Mac from recognizing the use of keyboard shortcuts. Any USB keyboard will work in this role; it doesn't need to be an Apple keyboard. If you're using a Windows keyboard, learning about Window's keyboard equivalents for the Mac's special keys can be helpful in figuring out the proper keys to use. If you're using a wireless keyboard, wait until you hear the startup sound, then immediately use the keyboard shortcut. If you hold down a key on your wireless keyboard before you hear the startup chimes, your Mac won't correctly register the key you're holding down, and will likely boot up normally. Some Mac models from late 2016 and later lack the startup chimes. If you're using one of these Mac models press the appropriate startup key combination immediately after starting your Mac, or if using the restart function right after the screen goes black. These startup shortcuts come in handy if you need to troubleshoot your Mac, or you just want to boot from a different volume than usual. Hold the 'x' key during startup. This will force the Mac to boot from OS X or macOS, no matter which disk is specified as the startup disk. You may find this useful if you have your Mac set to boot to a non-Mac OS volume, such as Windows or Linux. In some cases, an alternate OS may prevent the Mac's normal boot manager from running. Hold the 'c' key during startup to boot from a bootable CD or DVD, or USB Flash drive. If you have created a bootable Mac OS installer on a flash drive, this is an easy way to boot from the installer. Hold the 'n' key during startup to boot from a networked computer that has a NetBoot volume. NetBoot volumes can be created with OS X or macOS Server, allowing you to boot from, install the Mac OS, or restore the Mac OS from the server on your local network. Hold the option + 'n' key to boot from the NetBoot default startup volume. Hold the 't' key during startup to boot in Target Disk Mode. This mode lets you use any Mac with a FireWire or Thunderbolt port as the source for your bootup system. Hold the 'd' key during startup. Boot up using the AHT (Apple Hardware Test), or Apple Diagnostics. Hold the option + 'd' key during startup. Boot up using the AHT over the Internet, or Apple Diagnostics over the Internet. Hold the Command (⌘) + Option + 'r' during startup. Your Mac will boot from the Internet using Apple servers. A specialized version of the Mac OS will be run that includes a small suite of utilities, including Disk Utility, and the ability to download and install the Mac OS, or to restore from a Time Machine backup. Hold Command (⌘) + 'v' during startup The command key is the key with the cloverleaf symbol. This shortcut will boot your Mac in Verbose Mode, with a descriptive text sent to the display during the startup process. Hold Command (⌘) + 's' during startup. This shortcut will boot your Mac in Single-User Mode, a special mode used for troubleshooting and repairing complex hard drive issues. Hold down the mouse's primary key during startup. On a two- or three-button mouse, the primary key is usually the left button. This shortcut will eject a CD or DVD from the optical drive. Hold Command (⌘) + Option + 'p' + 'r' during startup. This zaps the PRAM (Parameter RAM), an option that long-time Mac users will remember. Press and hold the key combination until you hear the second set of chimes. Zapping the PRAM returns it to its default configuration for display and video settings, time and date settings, speaker volume, and DVD region settings.